An interesting adjunct to Rotary, on an international level especially, is the number of “Fellowships” (i.e. groups of Rotarians that share a common interest) that have been created to enable Rotarians with similar interests to join together to share those interests and fellowship. There are around 80 of them (see details on this link: https://www.rotary.org/en/our-programs/more-fellowships). The common theme of these is that of occupation or special interest (e.g. being a solicitor, doctor, police officer, magician, beer brewer, wine lover, photographer, quilter, etc., etc.) but there is one fellowship that requires no special occupation and the only common interest is being able to “travel”. This particular fellowship is the International Travel & Hosting Fellowship (or ITHF). So if you are travelling, in your own country or someone else’s country, you can make contact with fellow Rotarians for advice and assistance as to what you might see or do in their area. Similarly you can become the “font of travel knowledge” for your area when such members come our way. A key (but not essential) part of this experience is “hosting” visitors or being hosted when you are one in their country. Such home hosting is by prior arrangement and not more than two or three days. To do this, of course, requires some organisation and this is managed by an international committee with an “Administrator” (or secretary) President, Webmaster and the like. Rotarians wishing to join this group need to register on the fellowship website -http://www.ithf.org/ and pay the subscription to be entered on the membership list and thus have access to the website information and list of members. There are currently around 1100 members spread throughout the world and around 20 members in New Zealand (though most of them in District 9930). The Fellowship also organisers tours, usually associated with each Rotary International Convention, and where fellowship members get together on an organised tour for perhaps 10 – 15 days before or after the convention and in or around the country where that event is held. 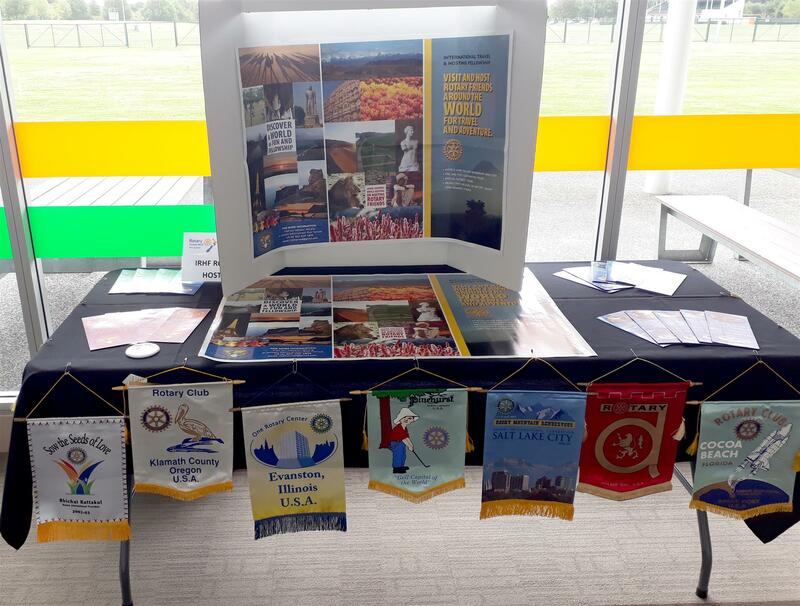 It would be good to improve the NZ Rotarians numbers in this fellowship and at the recent District 9930 Conference, a booth was set up to provide information and assistance. A couple of new members have appeared on the international website already! In our country, the fellowship is “coordinated” by PDG Ian Holyoake of Napier and as well as bearing the rather grand title of Vice President for New Zealand, he has also recently been appointed to the international Board of the fellowship. If you want any further information on this “travel fellowship” then visit the website listed above or contact Ian Holyoake at ianholyoake@xtra.co.nz .